I was reading “9 Questions About Cuba You Were Too Embarrassed to Ask” from Vox.com. Though quite helpful in understanding the animosity between US and Cuba–its cause and effect. It had me thinking about a place I now consider to be my home–Puerto Rico. Mainly, it had me questioning, why is there not an outpour of joy to visit and/or support the economy in Puerto Rico through something as simple as tourism like we see with the recent hype around Cuba. 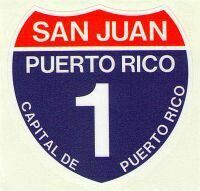 Hype created by individuals, many of which, have never traveled to Puerto Rico–a US territory; a territory that requires no passport. As such, I recall old high school and college Spanish courses taking (after extensive fundraisers) their students to Mexico for a cultural exchange. Again, I question, why support another country, when Puerto Rico is a part of the US? This small island is often forgotten. Though there has been a few investors coming to the island to “bail it out” as they claim from its financial crisis–the island is forgotten. It was strategically forgotten. The US raped and reaped it of its culture, people, and resources to such an extreme amount that the US merely wanted to walk away and left the islanders here to fend for themselves. Oh, but you say I exaggerate? Dare I truly ask, what’s the real purpose of the United States occupying almost every brown-faced country in the world? Dare I even ask what the United States would do if another country did this? Or even the other horrific crimes it has commited? La Operacion. By 1974, a sterilization policy implanted by the US Government, 35% of the Puerto Rican women were sterilized and the number reached almost 40% by early 1980s. The problem with this lies in the fact that the women undergoing this information were misinformed about the procedure and didn’t fully understand the consequences. Vieques. One of the most beautiful island (and has the best beaches). The US Government used approximately 70% of its land for bombing exercises, with its almost 10,000 inhabitants. In 1998 the Navy dropped 23,000 bombs on the island. Today, there is an approximate 27% higher cancer rate than the mainland. Radiation Experiments. In 1994, the US Dept of Energy disclosed that human radiation experiments were conducted without consent on prisoners in Puerto Rico during 1950s and 1970s. Colonization. The US Government gave Puerto Rico an economy that depended on them, destroying agriculture on the island. Despite the island being a territory for more than 100 years, individuals can not vote for president or in congress but must adhere to the US Federal laws. Many of the laws infringed upon the island are completely different and more tightly run than those of the US Virgin Islands. With these 5 (and I’m sure there are many more) atrocities against Puerto Rico by the United States, shedding a few examples of how evil mankind is, it has me wondering if Cuba’s distance from the US saved it from such horrific events that happened with Puerto Rico. After all, what we, as outsiders, see are beautiful cars straight from the 1950s and stare in awe that they look so pristine and still run. But when you are a people that has nothing and no way to replace what you do have, you take care of it–even if you must get creative. This definitely isn’t the American way. Americans think about disposal–We dispose of our cars before its paid off, our homes because it’s a 3 bedroom and we have 4 family members; We dispose of our children when we feel as if we can’t financially take care of them; and finally, as an example from the list of items the US Government committed against Puerto Rico–we learn that human lives are not important, especially if you have brown skin. 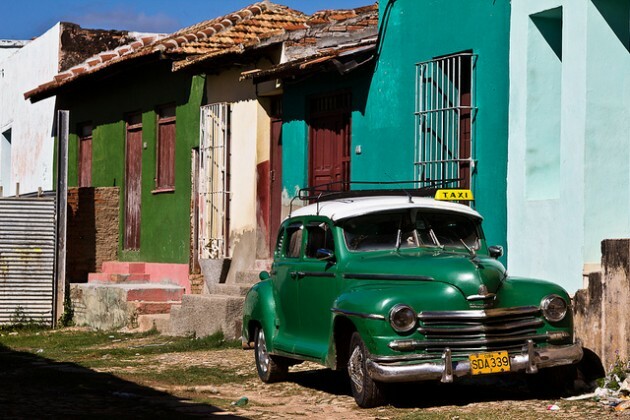 This entry was posted in Class, Life in Puerto Rico, Uncategorized and tagged cuba, Puerto Rico. Bookmark the permalink.